Pass the Turkey, hold the Agenda. 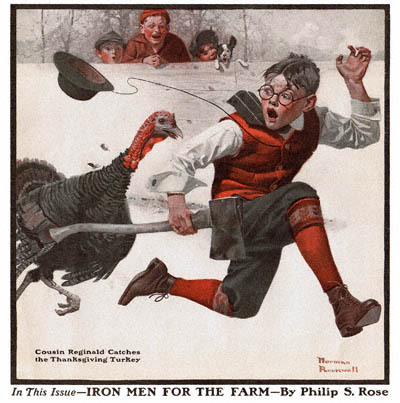 Thanksgiving – formerly known as ‘Yay, we might not have to resort to cannibalism this year –day’ (look it up, Pilgrim times were rough) is one of those American holidays that engenders equal measures of love, hate and indifference. The indifferent feast and toast their favorite team (go Pack). Cynics point out the glorification of times brutish, zealous and a high (friendly! )/low (smallpox!) point in Amerindian-Pilgrim relations. Optimists might point out we have limited ability to put ourselves in the context of the history to which we contribute, and celebrate the Pilgrims intentions. To that end, I would like to thank my favorite modern day pilgrims – – all you out there intending to craft a more civil society. If you are reading this, you are probably one of those idealistic types who have chosen to fight the good fight against overwhelming odds and often at risk to your own economic, financial and, sometimes, emotional well-being. You are forging ahead into the unknown and unconquered human mess (at least unconquered by your particular vision – after all, we are hardly the first to try). Like those early folks in their awesome hats, you are motivated by a particular sense of what is ‘Right’ (though yours is hopefully a bit more holistic?). Like them we can be preachy, narrow-minded, and unable to stop for a moment and appreciate what we are up to. Of course, they couldn’t stop because they had scurvy and were going to die of starvation if they didn’t keep planting. But we can. And we don’t often enough. We compete with our respective social change agendas, we in-fight and squabble self-righteously. We don’t take enough time as a community to say Thanks for the intention. So. Thanks you crazy, wonderful, ridiculous, lovely, pedantic, zealous, believers. Though I may fight you along the way and we may disagree frequently and, occasionally, loudly about how we try to change the world – thanks. I’m glad we’re on the same team. Between the fact that there are so damn many of you in my life and I don’t force tag people in social media, I am not going to start naming names. Perhaps that is a bit contradictory to my outright appreciation of your awesomeness. Tough times Pilgrim. If you want to hear it in person, happy to oblige over a cup of something, somewhere along the road.